In 1835 the first known record of Catholics of German descent arrived in Dubois County. Indiana had just become the 19th state of the Union in 1816. The first county seat was Portersville. In 1830 the Enlow family, who had owned a grist mill on the Patoka River, named this community "Jasper." In that same year, the county seat moved to Jasper. Before the Germans arrived, Native Americans and non-Catholic immigrants from Scotland and England were the inhabitants of Dubois County. German immigrants were attracted to this area due to similar surroundings as their native homeland of Europe. The early immigrants brought along their deep Catholic heritage--and, of course, they desired to be spiritually fed by their Catholic faith. The first Catholic Bishop, Simon Brute of Vincennes, appointed Fr. Joseph Kundek to be the Vicar General for the German-speaking Catholics. It would be Fr. Kundek's role to nurture the Catholic tradition through ambitious building projects. St. Joseph Parish became the first and only parish for the Jasper area from 1837 to 1951. After the first 125 years of local Catholicism, the need for more services and churches became obvious. The "Mutterkirche" of St. Joseph could not handle all of the sacramental needs of the community. Henry H. Grimmelsmann was just named Bishop of the newly formed Diocese of Evansville in 1944. One of his first acts of business was to address the needs of the Jasper Catholic community. 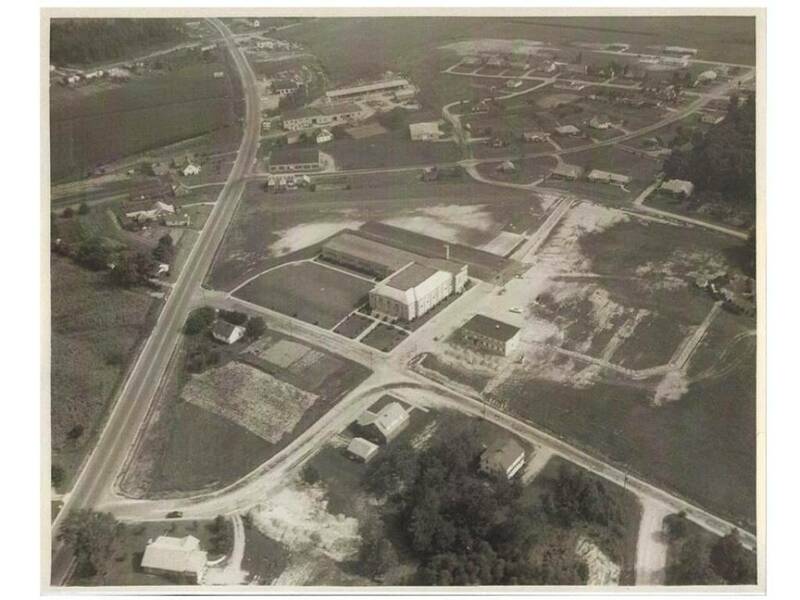 He purchased 13.5 acres of land from Rose and Joseph Hasenour for $1.00 to build a new church in the "Little Kentucky" area. This area had received its name because of its location southeast of the Patoka River. In the "Herald" on June 3, 1947, the headlines read "St. Joseph Parish is to be divided". Although it was announced in 1947, the Official Decree of establishment of the parish is January 15, 1948. At that time the name of Holy Family was chosen for the new Catholic parish. It took about 4 years from the first public announcement to build the first complex. The first Mass on this site was on June 16, 1951 in the new gym church. In those four years, the Little Kentucky Pipelines Corporation was formed to bring water to the proposed site. This was financed through the local land owners and the parish. 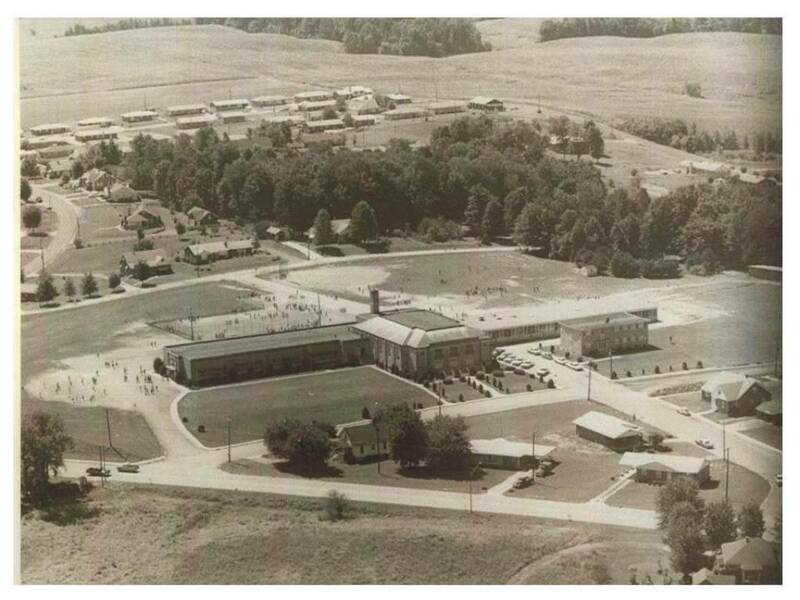 In the fall of 1949, the original complex of the eight room school and gymnasium were begun. This parish started at that time with a census of 221 households. In the fall of 1951, Holy Family School began with an enrollment of 207 students while the Sisters of Providence, living at the St. Joseph Convent, provided leadership. In 1953, the parish built a new red brick residence for the Sisters on Holy Family Drive. 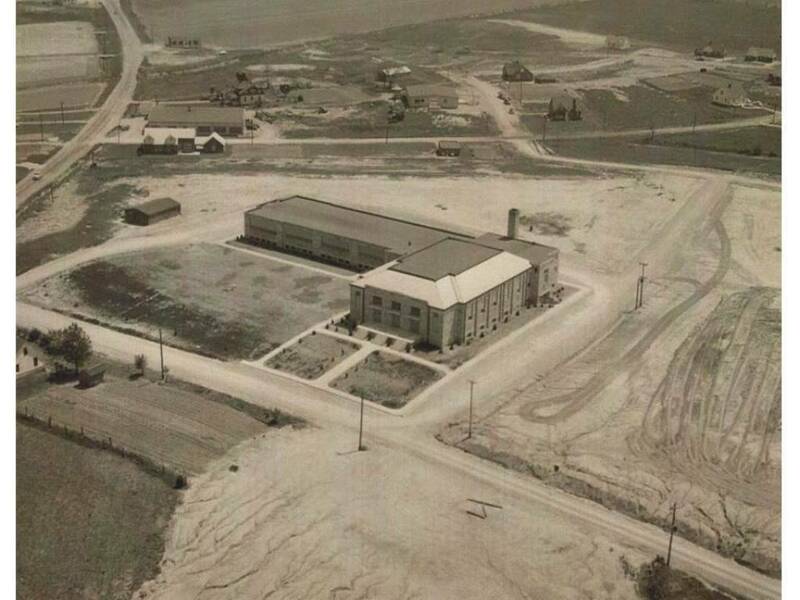 That remained the convent until a larger building could be built on the property next to the school in 1959. The Pastor, who lived above the sacristy, moved to the old Sisters' house and the red brick house became the first official rectory. This building is now the home of John and Betty Keusch. 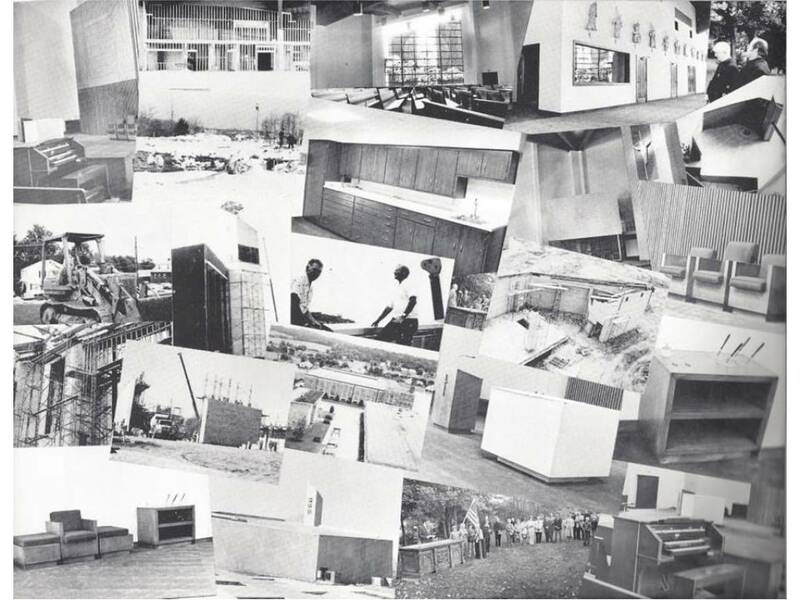 As enrollment increased, Holy Family built eight additional classrooms in 1968. This section extends to the west of the original structure. In 1977, groundbreaking took place for the new church. The present church was dedicated on the Feast of the Holy Family on December 30, 1979. The church has become world famous for its windows depicting the biblical story of the Holy Family on the right side and the historical development of Jasper on the left side of the sanctuary. The following year, the present rectory was completed across from the church. 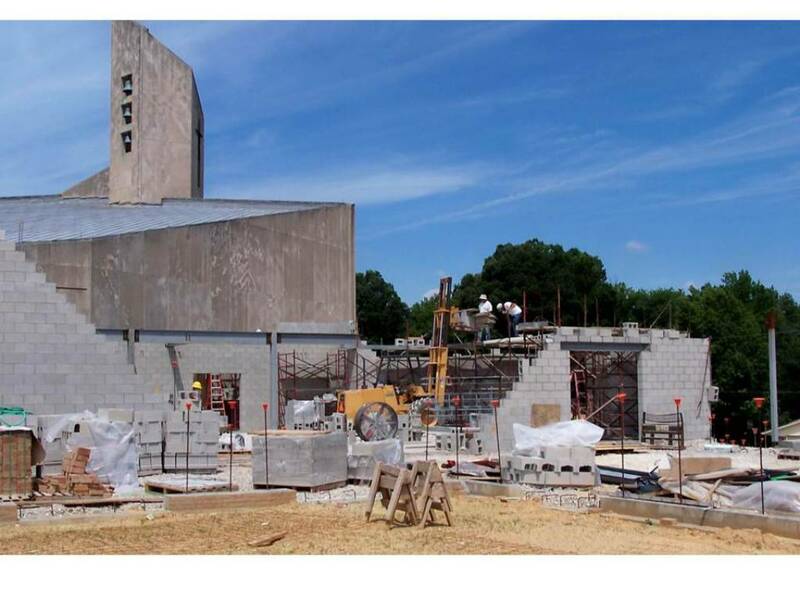 In 2006, the Narthex, Fellowship Hall, the Parish Center, and new School offices were added to the buildings. The work done during this time also made the buildings more handicap-accessible. In 2015, Holy Family School merged with Precious Blood School and St. Mary (Ireland) PreSchool to form Holy Trinity Catholic School.